Did you use the honey or corn syrup in the batches you make? Yes, both of these are inverted sugars. They will keep your cookies moist and chewy!! I add some to any cookie recipe I make. Did you use the crisco brand of shortening? I’ve tried the store brand and my cookies turned out like pancakes. I have an unhealthy addiction to the Chick-fil-A cookies and stumbled across your recipe. 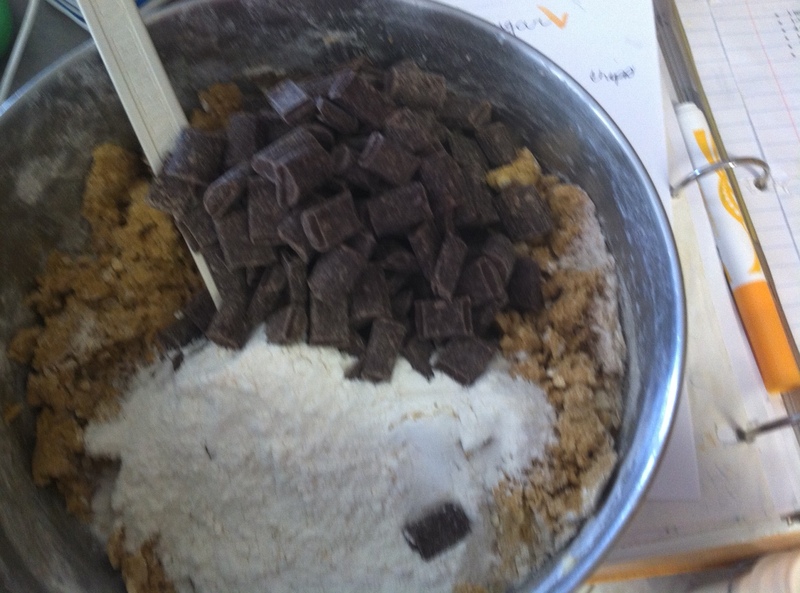 I must say – I’ve never been able to make a chewey, soft cookie…until today! They are delicious, though there is one slightly “different” flavor that I can’t put my finger on. It’s not bad – just different. Maybe the honey? Either way, this recipe will be my go-to from now on. Thanks! My cookies turned out flat with an overwhelming taste of honey. I was very disappointed. My husband loves Chic-fil-A cookies, but these didn’t even taste like them. Does using Crisco over store brand really make that much of a difference? I know it sounds crazy but the two times I didn’t use Crisco, my cookies were flat as pancakes. If it taste too much like honey, try using corn syrup instead. I did indeed use Crisco brand shortening, but mine still turned out very flat.. Still delicious, but I’m not sure what happened..
Maybe you over mixed it. Sometimes that can also lead to a flat cookie. 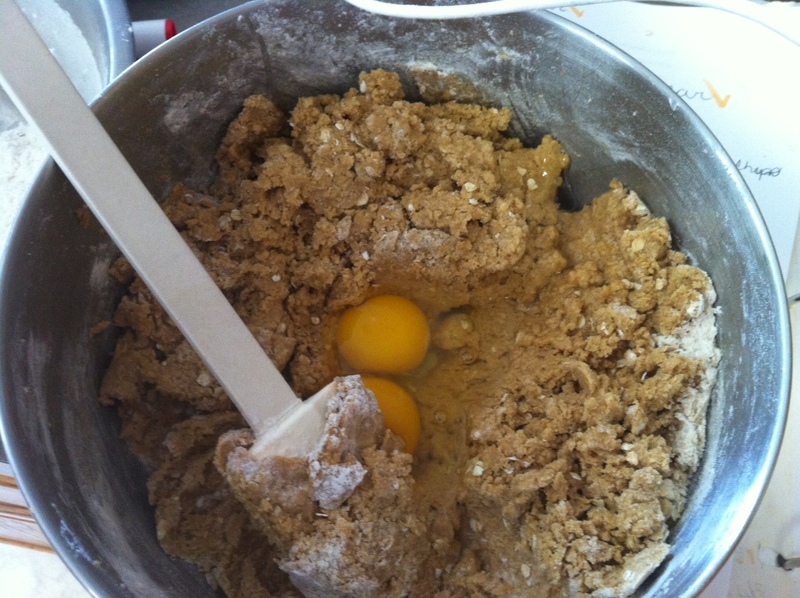 I make sure the sugar and butter are beat well, but mix just enough on the rest of the ingredients to incorporate. If you try again, let me know if that helps! I felt it needed more oats and less honey. The honey leaves an aftertaste. I love chocolate however I think next time I’d use less. Maybe with more oats it won’t seem to over power everything. Great recipe. Thank you. If the honey flavor is too much, try using corn syrup instead. You can add more oats if you prefer the texture. Chick film’s cookies have molasses in them, not honey. In going to try this recipe today with that change! You are correct! 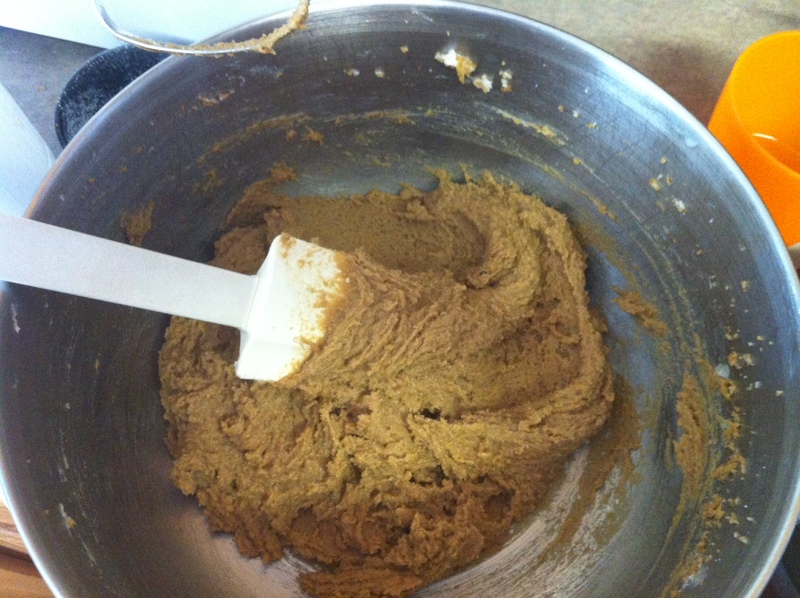 Brown sugar is made from molasses and sugar so your getting that molasses flavor with the dark brown sugar. 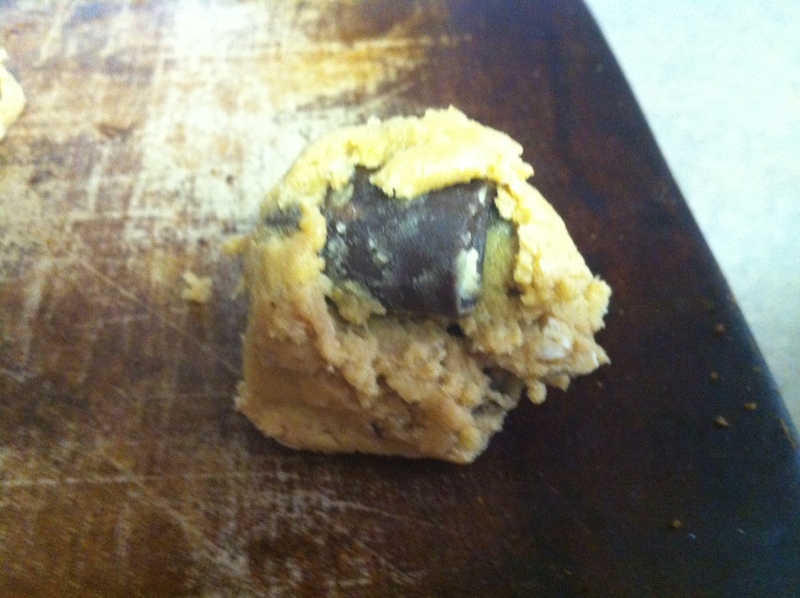 The purpose of the honey or corn syrup is to keep the cookies chewy. Try substituting with molasses and let me know what you think! Can’t wait to bake these I’ll contact you when I taste them. Hi! I’m so excites to try this recipe! I love the CF cookies!!! I was wondering if the cookie sheet needs to be greased or ungreased. I would say greased. I use my clay cookie sheets, but you don’t want them to stick! I’m so excited to try this recipe! I love CF cookies!!! I was wondering if the cookie sheet should be greased or ungreased? I always use my clay baking sheets, I’ve never used anything different. I would recommend a dark cookie sheet rather than a silver one but greasing it is a good idea. Let me know how they turn out! So I couldn’t find the corn syrup in the grocery store and didn’t have time to search, so low and behold, Agave. No aftertaste. I put two eggs in a drinking glass to warm them up. I don’t know if Crisco is the key but I use it for all my baking. One tip for “flat cookies”. I mixed all my wet ingredients except for the eggs. I always cream the sugar and shortening really well. That’s something most people don’t do. I put in an extra 1/4 c oats and in the wet 2 TBS water to compensate. Another trick to baking is that once I combined my wet ingredients I put the baking powder and soda in. 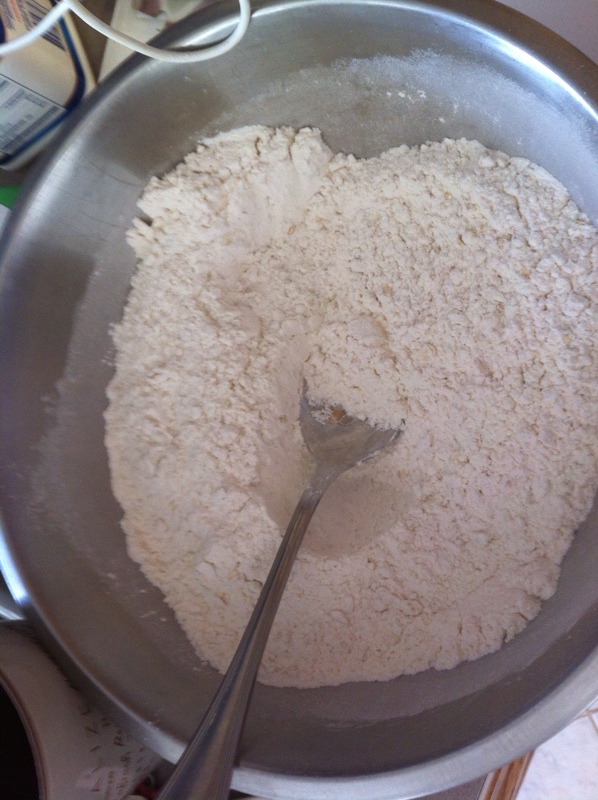 This distributes leavening better than putting in flour and sifting. I put the eggs in last mixed by hand, dumped dry in. Hand mixed it. Put in semisweet chocolate chips to my chocolate liking and BAM. Perfect cookies Chick Fil A tasting at its best. Thanks for the recipe!!! Did everything that erinmariesor said to do. Used Snow Cap lard and Wholesome Sweetners raw blue agave instead of honey or corn syrup. They turned out awesome. The only change I would make us to add a pinch of kosher salt and take the vanilla up to 1 tablespoon. Great recipe! These are the best cookies that I have made. I used corn syrup, and off brand Crisco. i didn’t have a big ice cream scoop, I used my small cookie scoop. The cookies were small but I got more out of my batch 58 in all. My husband and my three sons loved them. It makes 2 dozen big cookies, or 3 normal size. These are amazing. Tomorrow night I have a gathering where the wife of a Chick-Fil-A is attending….let’s see what she thinks! I meant wife of a Chick-Fil-A operator! No salt needed? Thank you. I use salted butter. If you don’t, you can add a half teaspoon. So I made these twice this week first time I followed to a T using corn syrup cookies came out a bit flat but tasted great!! Second time I made many adjustments in creased oven to 375, used two table spoons honey,an extra 1/2 teaspoon baking soda and a 1/2 salt these came out perfect amazing!! Yes just like chick fila!! Yes people use crisco brand it taste best!! I read somewhere that the chick fil a recipe has almonds? Nope. They don’t have any nuts, but I think the addition would be yummy! yes, make your own cookies, I’ve worked in the place that produce the CFA cookies and you’d be shocked at the process and dirtiness, i have photos from inside the plant and they are made by CSM Bakery Solutions in Tucker Ga, they also produce cookies for Arby’s and most fast food restaurants that sell cookies. I taste coconut in Chick-Fil-A cookies. Have you tried using either coconut oil or ground up coconut in the recipe. Does anyone else taste the coconut?? According to the ingredient list on the CFA website, there isn’t coconut. The oatmeal gives the same texture though. The bigger the better with these! I find that on my clay stone they cook faster. As long as you like them, it’s fine. Enjoy! Just an FYI. I used Aldi brand vegetable shortening and my cookies turned out perfect. I followed the directions to the T. That was the only thing I changed. Excellent recipe. Thank you so much! Good to know!! Aldi is my favorite place to shop! I see you added eggs but I didn’t see eggs in your list of ingredients. How many did you use? There are two eggs. They are in the list and it mentions to get them to room temperature first. Enjoy!! Would agave syrup work in place of the honey or corn syrup? I haven’t tried using Agave Nectar. 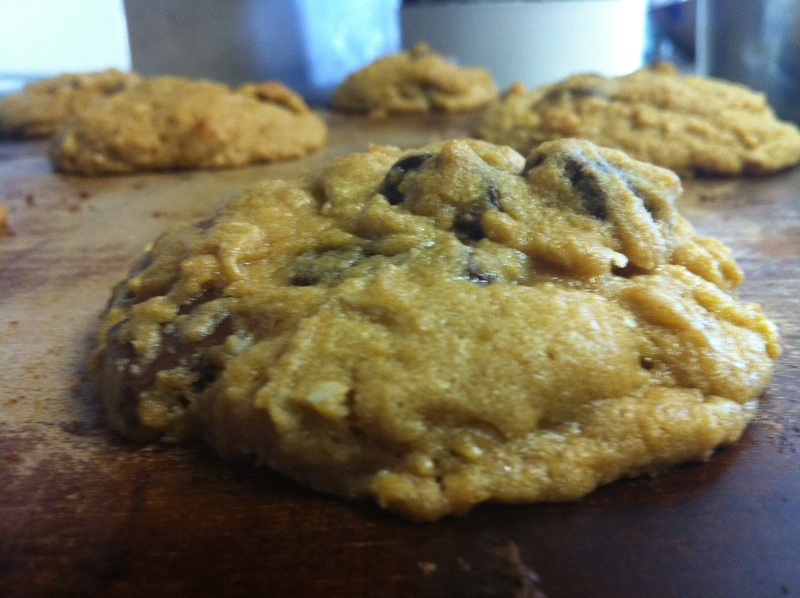 The purpose of the honey or corn syrup is to keep the cookies chewy and moist. Try it and let me know how they turn out! I have tried the recipe and it was so amazing and delicious to eat as a dessert. This was amazing. I’m just learning how to bake from scratch and, if I’ve learned nothing else, it’s that you cannot wing it on many recipes. I don’t know why it’s so tempting to cut corners and put a little more of this or less of that. Why did it take me so long to learn this? lol So anyway, I followed this to the letter tonight and, although my scoops/cookies were too large, my son devoured them (and he’s super picky). Thanks for posting the recipe! Fantastic cookie! I didn’t have enough brown sugar, so I used white and then added about 1 Tlbs. of molasses to it. I also added some walnuts, cause they make everything better! Great cookie! What you bake them on makes a big difference. I just finished making these and my first two batches we’re on a cooking sheet with foil and spray, but ended up pretty flat. But my last batch I put them on my silicone mat. Those turned out much thicker! I’ve made these on three occasions and a common silver baking sheet, sprayed with Pam, was used each time. They were thick each time and had, each time, had compliments from my son (who is immensely picky) and my grandmother (who said they were among the best she’s ever had)! Seriously. Best recipe! These come out on point EVERYTIME! I dont deviate from the recipe at ALL and they work spectacularly every time (today was my 8th time making them)! THANK YOU!